3 years old. Consume in the limits of daily physiological need. 6 months from date of production. relative humidity no more than 75%. 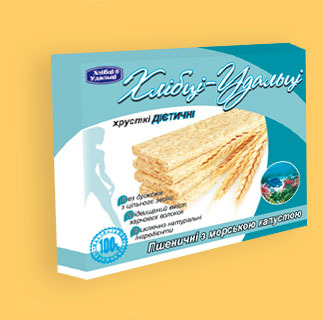 Rye crispbread is recommended as a food stuff for special dietetic nourishment as the additional source of dietary fibers for normalization of gut organisms, increase the immunity, reduction in the risk of cardiovascular diseases, activation of memory, also in case of metabolic derangements, overweight and tendency to the allergic reactions. 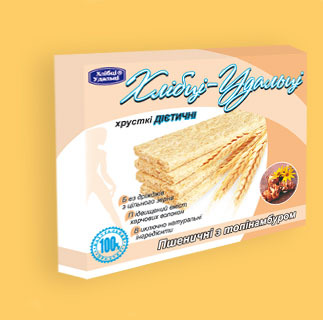 Wheat - buckwheat crispbread is recommended as a food stuff for special dietetic nourishment as the additional source of dietary fibers for normalization of gut organisms, increase the immunity, reduction in the risk of cardiovascular diseases, activation of memory, also in case of metabolic derangements, overweight and tendency to the allergic reactions. For all ages except children minor 3 years old. Consume in the limits of daily physiological need. Store in the dry clean area at temperature (18+-5) C and relative humidity no more than 75%. 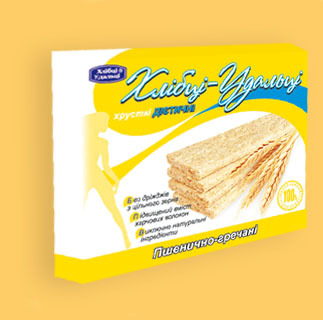 Wheat oat - maize crispdread is recommended as a food stuff for special dietetic nourishment as the additional source of dietary fibers for normalization of gut organisms, increase the immunity, reduction in the risk of cardiovascular diseases, activation of memory, also in case of metabolic derangements, overweight and tendency to the allergic reactions. 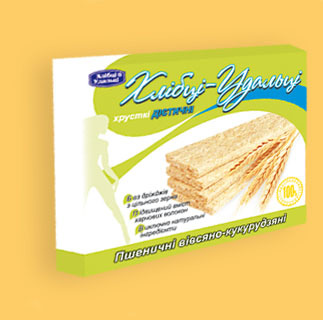 Wheat oat - barley crispbread is recommended as a food stuff for special dietetic nourishment as the additional source of dietary fibers for normalization of gut organisms, increase the immunity, reduction in the risk of cardiovascular diseases, activation of memory, also in case of metabolic derangements, overweight and tendency to the allergic reactions. Wheat - oat crispbread is recommended as a food stuff for special dietetic nourishment as the additional source of dietary fibers for normalization of gut organisms, increase the immunity, reduction in the risk of cardiovascular diseases, activation of memory, also in case of metabolic derangements, overweight and tendency to the allergic reactions. Wheat buckwheat - barley crispbread is recommended as a food stuff for special dietetic nourishment as the additional source of dietary fibers for normalization of gut organisms, increase the immunity, reduction in the risk of cardiovascular diseases, activation of memory, also in case of metabolic derangements, overweight and tendency to the allergic reactions. Buckwheat crispbread has a pleasant aroma and flavour.It is an excellent source of balanced protein, dietary fiber, vitamins and minerals. It is made exclusively of buckwheat grains, under a unique technology, the time of thermal processing of grain is only fractions of seconds, which makes it possible to preserve all biologically valuable components. Wheat - buckwheat crispbread with beta carotene has a pleasant flavour and is an excellent source of cellulose, B vitamins, iron, zinc, copper. Beta carotene – A provitamin - has an antioxidant effect, improves metabolism and prevents aging. The crispbread is made under a unique technology, the time of thermal processing of grain is only fractions of seconds, which makes it possible to preserve all biologically valuable components. Low-calorie rye crispbread has a nice rich flavour and aroma. It is an excellent source of dietary fiber, B vitamins, iron, zinc, magnesium and minerals. It is made under a unique technology, the time of thermal processing of grain is only fractions of seconds, which makes it possible to preserve all biologically valuable components. Three cereals with pumpkin seeds crispbread has a pleasant flavour. It is an excellent source of dietary fiber, minerals and trace elements. It is made under a unique technology, the time of thermal processing of grain is only fractions of seconds, which makes it possible to preserve all biologically valuable components. Oat crispbread with bran has a pleasant flavour and are an excellent source of minerals and vitamins. It has a high natural content of dietary fiber that is essential for healthy diet. It is made under a unique technology, the time of thermal processing of grain is only fractions of seconds, which makes it possible to preserve all biologically valuable components. 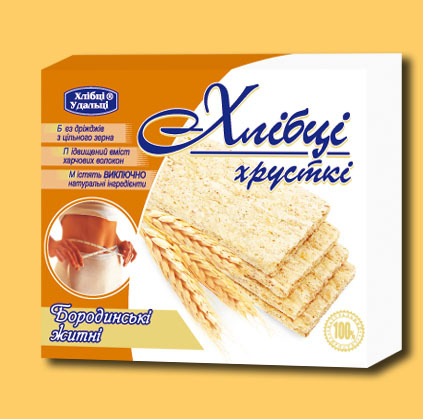 Fragrant crispbread with onions has a pleasant spicy flavour and is an excellent source of cellulose, vitamins and minerals. It contains natural onions and dill. It is made under a unique technology, the time of thermal processing of grain is only fractions of seconds, which makes it possible to preserve all biologically valuable components. 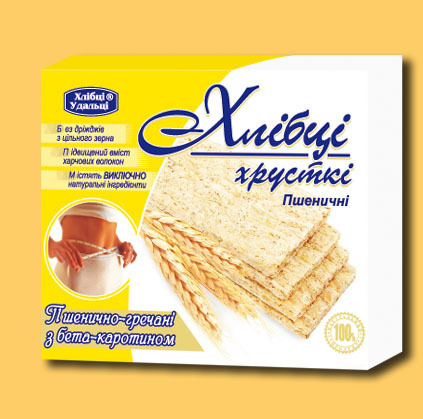 Crispbread with paprika has a pleasant flavour and sophisticated aroma. It is an excellent source of cellulose, vitamins and minerals. It contains natural paprika and allspice. It is made under a unique technology, the time of thermal processing of grain is only fractions of seconds, which makes it possible to preserve all biologically valuable components. Wheat, fruits of Holy thistle, salt. For all ages except children minor 7 years old. Consume in the limits of daily physiological need. gut organisms, for prophylaxis of liver and gall diseases, hepatitis, cholecystitis, cirrhosis, malnutrition, anthropogenic, toxic and alcohol-induced liver injury, in case of overweight. Holy thistle (Silybum) – prevents and facilitates recovery incase of liver injury. It also has antiulcer nature. Protects against a causative agents for neoplasms. Holy thistle is also known for its anti-oxidant action and anti-mutagenic activity. Wheat, Echinacea purpurea (rootstocks and herbs), salt. Wheat crispbread with Echinacea is recommended as a food stuff for special dietetic nourishment as the additional source of dietary fibers for normalization of gut organisms, activation of memory, rising of immunity, ability for mental and physical activity, reduction in risk of cardiovascular diseases. In case of overweight and tendency to the allergic reactions. Echinacea purpurea strengthens immunity which is a natural protective ability of human body and prevents it from the infectious, chronic and acute diseases. This plant is useful in case of physical or psychological fatigue and stress and helps with metabolic normalization. Wheat, rootstocks of Jerusalem artichoke, salt. Wheat crispbread with Jerusalem artichoke is recommended as a food stuff for special dietetic nourishment as the additional source of dietary fibers for normalization of gut organisms, activation of memory, rising of immunity, ability for mental and physical activity, reduction in risk of cardiovascular diseases. Beneficial in case of overweight and metabolic derangements, overweight. Lowers level of sugar in blood and normalizes a blood pressure. Jerusalem artichoke (Helianthus tuberosus) helps to lower the sugar level in blood, stabilize blood pressure, strengthen immunity and reduce weight in obesity cases. 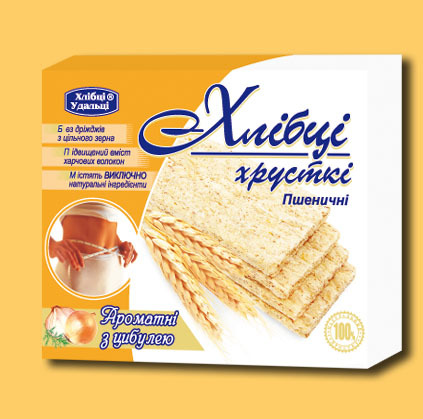 It is a good prophylaxis and cure for gastrointestinal diseases. This plant prevents from the salt depositions in human body. gut organisms, activation of memory, rising of immunity, reduction in risk of cardiovascular diseases. Wholesome in case of overweight and metabolic derangements. Laminaria – is appreciated as storeroom of organic iodine, important microelements, vitamins and best natural absorbents, which clean organism from radioactive nuclide and toxic substances.